Multiply two complex numbers in graphic form. Simplified from "Multiplication of two complex numbers" by Victor Hui. 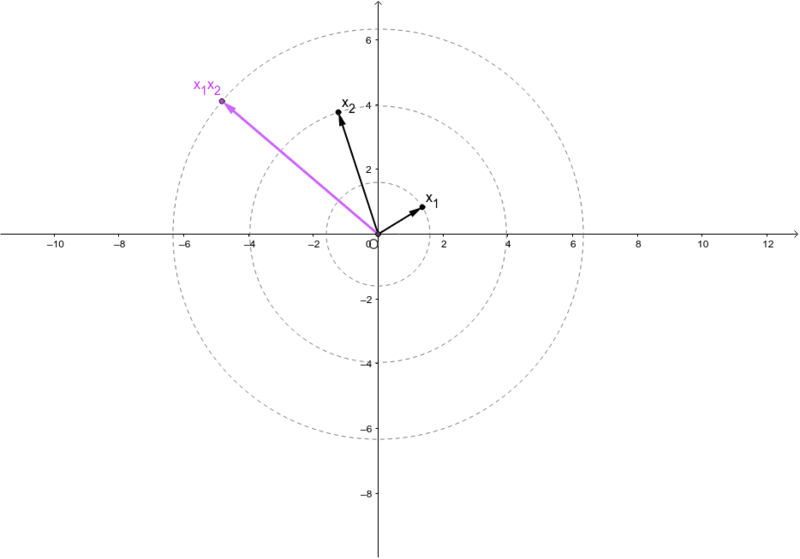 What is the relation between the vector lengths (given by radii of circles)? What is the relation between vector angles?